Sandra Taylor joined NJIT in January 2010 as Academic Advisor for Student-Athletes working in NJIT’s Learning Center (TLC). She will focus on five key areas: academic support, career development, personal development, leadership, and community service, including the Student-Athlete Advisory Committee and CHAMPS Life Skills for NJIT’s nearly 300 student-athletes. Prior to joining NJIT, Sandra spent her professional career at Manhattan College, which is also her alma mater. Mike Spisto joined NJIT’s Learning Center (TLC) as the Academic Advisor for Athletics in May of 2013 after a five-year stint as top assistant of the NJIT men's basketball team. Mike is a 1997 graduate of Oneonta State. In addition to his bachelor’s degree from Oneonta, he earned an associate’s degree from SUNY Delhi, as well as an MSS from United States Sports Academy. He brings a wealth of experience to TLC, ranging from college administration to coaching and recruiting, as well as academic advising. 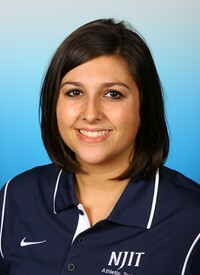 Brittany Vorndran moved to administration as NJIT’s Academic Advisor for Student-Athletes in the Fall of 2015. For the previous three years, she was an assistant on the NJIT Athletic Training staff, working with women’s soccer and men’s volleyball teams. She earned her bachelor's degree, majoring in athletic training, from Bridgewater (MA) State University in 2010. She earned her master's in Kinesiology at James Madison University in Harrisonburg, VA, in May 2012.